Golden Ring Car and Truck Repair is a family-owned & operated full service automotive repair shop that has been serving the greater Baltimore Maryland community since 1969. Owner and automotive repair specialist Greg Rogalski, as well as his team of ASE Certified automotive repair specialists and technicians are dedicated to ensuring their customers get only the best in auto repair services. Golden Ring Auto and Truck Repair takes pride in the relationships we build with our customers. Our appreciation for them drives us to continually improve, and we value all feedback. We encourage you to read the reviews our customers have given the team at Golden Ring Auto and Truck Repair and and give us a call today if you are in need of our services. Golden Ring Car and Truck Repair welcomes you to our website.Golden Ring Car and Truck Repair is a well known and respected auto repair facility in Middle River and the greater Baltimore area for our honesty and professional auto repair services that our staff and mechanics provide to our customers. Each staff member and mechanic in our automotive repair shop takes pride in the excellent reputation we are fortunate to have developed with both our customers. Our shop is grateful that our customers repeatedly choose us for their auto repair and service needs and frequently send their friends and family to our shop for their automotive repair and service needs as well. Golden Ring Car and Truck Repair understands that there are many auto repair companies in the greater Baltimore area to choose from. This is why we pledge to all of our customers that we will not remove any part from a vehicle in order to complete an auto repair unless it is absolutely necessary. Additionally our auto repair shop promises to diagnose all auto repair problems in an honest and professional manner. Each mechanic and staff member in our shop strives to provide prompt and courteous service to all who visit our auto repair facility in the hope that you will come back to us for all of your auto repair needs. Golden Ring Car & Truck Repair invites you to take advantage of our easy 24/7 online scheduling! Simply complete and submit the appointment form to schedule your repair. Golden Ring Car & Truck Repair offers our customers in the White Marsh ~ Middle River area nationwide protection. Our warranties are among the best in the automotive repair industry. Golden Ring Car & Truck Repair is always interested in hearing from qualified individuals seeking employment at our White Marsh ~ Middle River automotive repair shop. If you are interested in joining the Golden Ring Car & Truck Repair team we want to hear from you. Golden Ring Car & Truck Repair knows repairs can be both unexpected and costly. That is why our shop is pleased to offer our customers an industry leading 6 Month Zero Interest financing plan with Synchrony Financial. They continue to show their customers how their honesty, integrity, and quality of repairs have made them a viable business for over forty years. "As a customer of Golden Ring Car & Truck Repair for many years, I am always impressed with how they treat their customers. In a difficult economy they work with you as well as for you. They continue to show their customers how their honesty, integrity, and quality of repairs have made them a viable business for over forty years. I have brought all of my vehicles there and continue to be pleased with them. They will always explain the problem, provide a helpful solution/fix, and always go above in beyond in their endeavors. As we all know, the automotive repair business can be a business that many tend to criticize and few tend to praise. I just wanted to take the time to prove the pack wrong and provide kudos to owners who will take the time necessary to make sure their customers are treated right. I will continue to recommend them to my friends and family." Golden Ring Car & Truck Repair is pleased to introduce our valued team of automotive repair & service specialists. Our staff is dedicated to ensuring our customers get only the best auto repair in White Marsh ~ Middle River, at the right cost, and to their complete satisfaction. Greg is the owner of Golden Ring Car and Truck Repair. 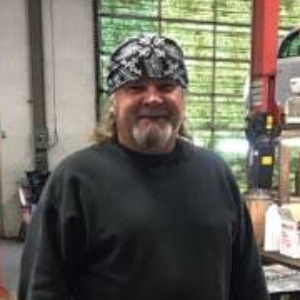 Greg is the Head Mechanic/Technician at Golden Ring Car and Truck Repair. 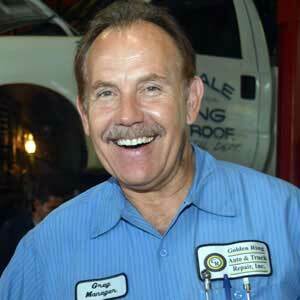 Greg is ASE Certified and has been a Maryland State Inspector for over 25 years. 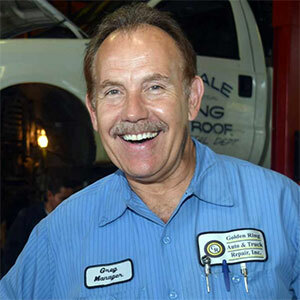 Greg has been in the automotive field for over 40 years. Greg is continuously keeping up to date with the changes in the automotive industry. 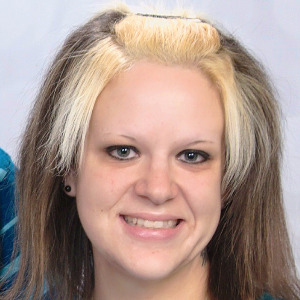 Heather joined Golden Ring Car and Truck Repair in August 2004, and has been a valuable asset to the company. Along with keeping things organized, and answering the phones, she is the first person that greets each customer as they come in with a smile. Heather is a native of Baltimore and the surrounding Baltimore County and currently lives with her husband in Harford County. Gary has over 30 years experience in the automotive field. Gary is a Master Technician on all American and Foreign cars and trucks. 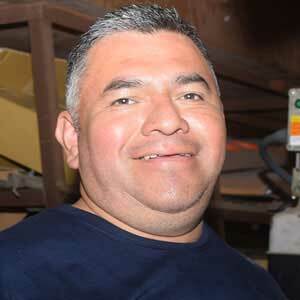 Luis has been in the automotive field for 15 years. Luis is extremely knowledgeable on all American and Foreign cars and trucks.